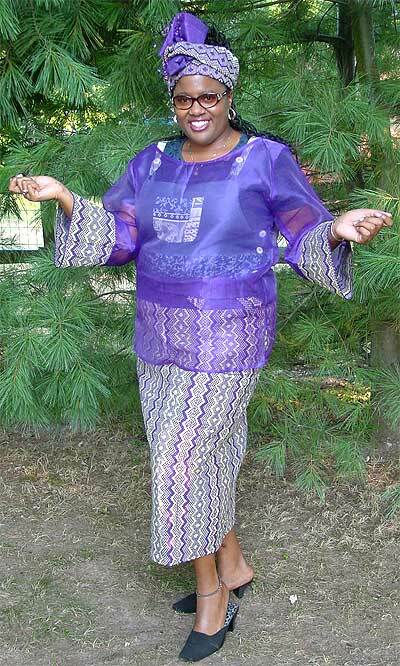 African Style Clothing for Women - Buy online. Our clothing is custom made to your specific measurements for the best fit. 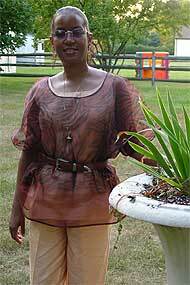 We specialize in African Lace dresses and skirt suits for women, along with silk sheda and embroidered fashions. You can request the traditionally long dresses or the new style knee length or mini dresses. Request a quote. 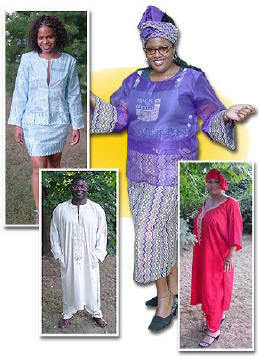 Fabric from Africa can be made into Western Style clothing and any fabric can be used for your best customized look. One of our most popular outfits! Blue lace jacquard style fabric with eyelets and scalloped bottom hem and sleeves. Another of our most popular outfits! Fashionable two piece pants outfit, cotton brocade material with print shown here. Red Kaftan & Head tie made in Dubai. Two piece pants & top with embroidery trim on the top. 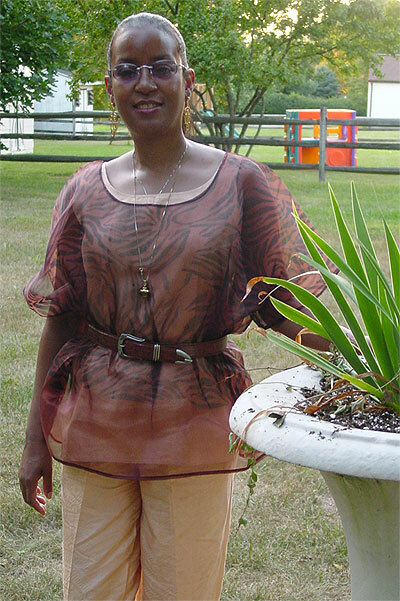 Brown organza sheer top, with two piece guinea brocade fabric  cream pants and tunic underneath. Cotton brocade two piece cream dress with light pattern and gold embroidery trim. Western style sleeveless mini dress with jacket. White lace cotton traditional two piece long skirt and top with eyelet design. 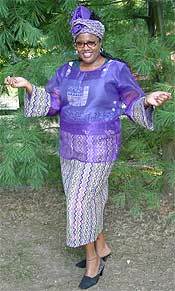 Purple asooke two piece wrap skirt and organza top with sleeve cuffs accented with asooke material and asooke headwrap. Click image to view necklace only.